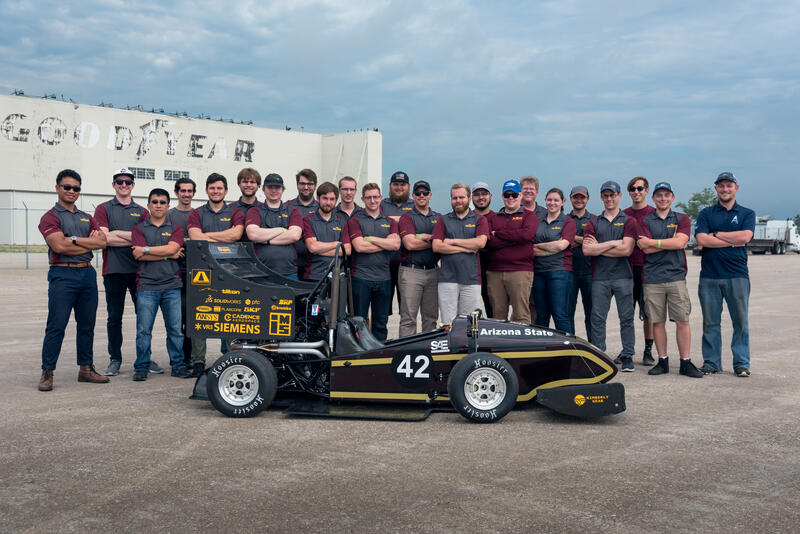 Arizona State University | Launch ASU's Formula team to compete in Nebraska! Sun Devil Motorsports is the Formula chapter of the Society of Automotive Engineers (SAE) at Arizona State University. We have a passion for engineering design. We design, manufacture, test, and demonstrate marketability for our in-house formula style vehicles. Every year, we compete against many other teams in an international competition, and this year, we're setting the bar higher than ever! Launch ASU's Formula team to compete in Nebraska! Why should you support our campaign? Our team have been hard at work every single day since the beginning of fall semester to design, plan, and manufacture our brand new 2019 car. Thousands of hours have been put into the car so far and we are nearing our last stretch. Your support would help us complete the car as well as help us transport the team and the car to competition at Lincoln, Nebraska. Read more for more information about our club, what we do, and most importantly: why we do what we do. What is Sun Devil Motorsports? 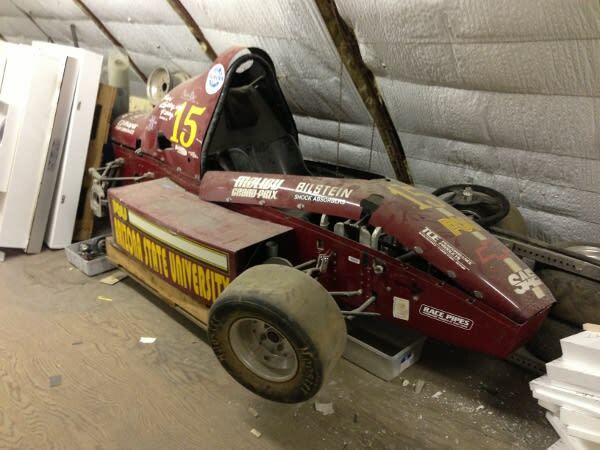 Sun Devil Motorsports is the formula chapter of the Society of Automotive Engineers (SAE) at Arizona State University. 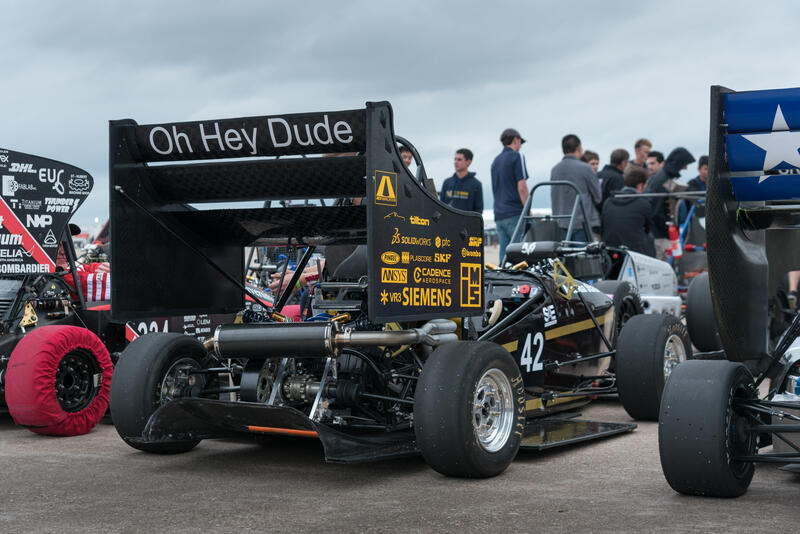 Sun Devil Motorsports consists of students of various engineering and business backgrounds, boasting the largest roster of any ASU engineering organizations. We develop and manufacture a fully operational race-car in-house to race in the annual Lincoln Formula SAE competition. Through the development and competition of the car, students are developing their technical engineering skills and teamwork professionally while being challenged to perform outside the classroom to produce outstanding results. The team exists for one sole reason: to build the best engineers and business personnel out of ASU. SAE stands for Society of Automotive Engineer; it is a global society made up of automotive engineers from various companies, all with the purpose of creating a better future for the automotive industry. SAE is a highly accredited society, setting up standards and regulations that we have today in automotive. One of the programs that SAE offers is Formula SAE, where universities compete against each other in designing, building and driving a racecar from the ground up to compete for a hypothetical contract to mass produce their prototype. Essentially, the cars are judged based off of their designs, business plans, and dynamic performance. The Passion: Why we do what we do? The year is 1992, and ASU comes into the Michigan Formula SAE competition with the most impressive contender. Boasting technology that was just introduced in professional top tier racing series such as Formula 1, ASU's car was state of the art. It won four awards: Best Use of Composites, Best Engineering Design, Best M85 Fuel Economy, Best Prototype Fabrication. Fast forward 20 years later, a group of engineering students found the car collecting dust. This developed the idea of reincarnating the club into what it is today. We are here now as a team with the goal of continuing ASU's legacy of creating state of the art cars, creating history for the future of ASU. The most advanced Formula SAE car yet coming out of ASU is currently in production, continuing the ultimate goal of creating history for ASU. Please consider partnering with us as we take this next step to build the future engineers of ASU. This represents a dollar donated for every horsepower our engine produces. This donation represents a dollar for every member of the team. Each one of us appreciates your contribution! This represents a dollar donated for every degree in Fahrenheit of the engine operating temperature. This represents a dollar donated for every pound of the car. A donation of $1236 represents the distance mile-for-mile that the team must travel to reach competition at LNK Airport.